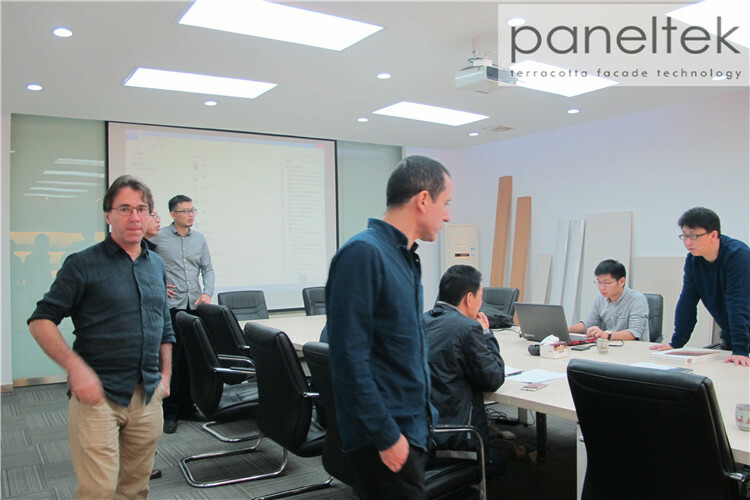 On 28th September, 2017, two French Architectural designers came to visit Paneltek. 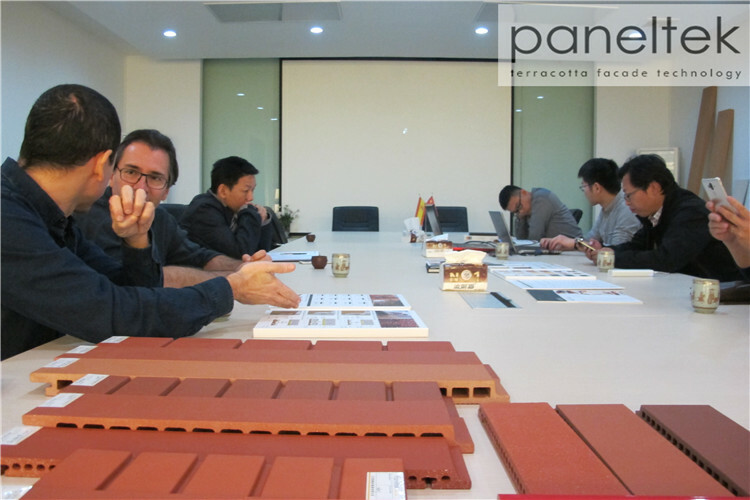 They would like to apply terracotta facade panels to their project and would like to have more acknowledge about this material and their colors. 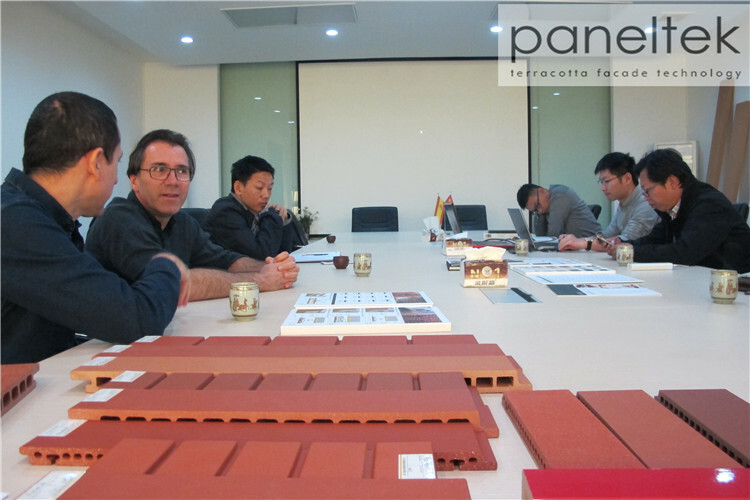 The designer are more interested in the red colors. 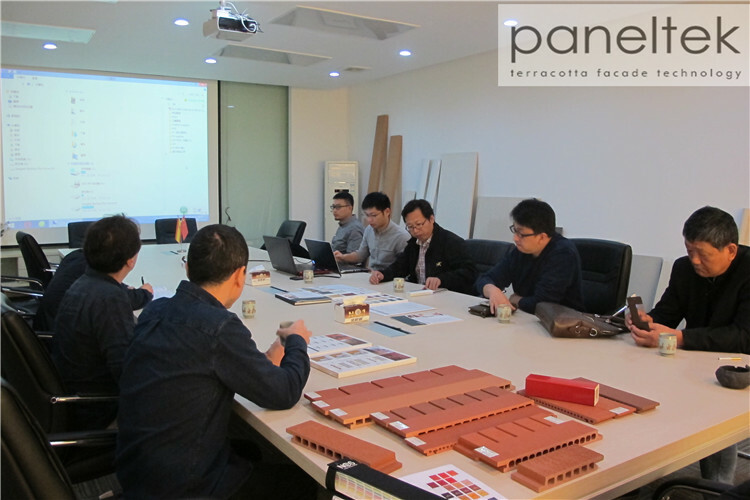 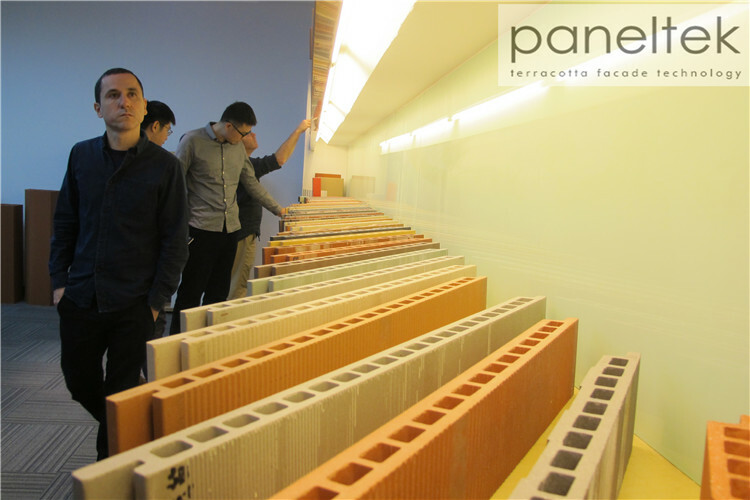 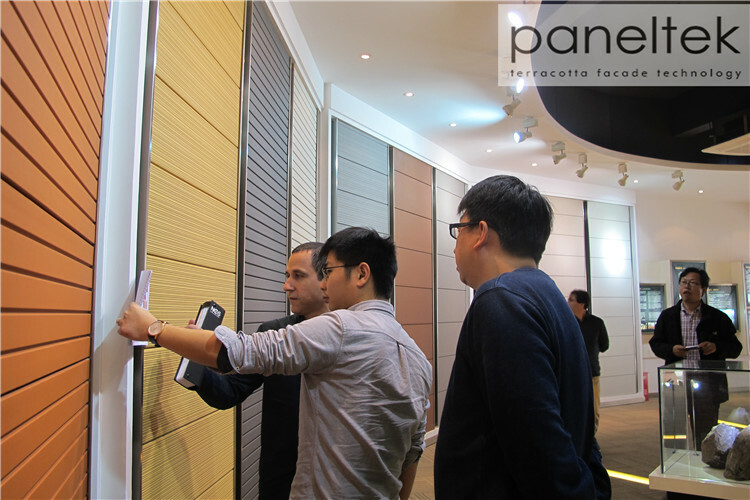 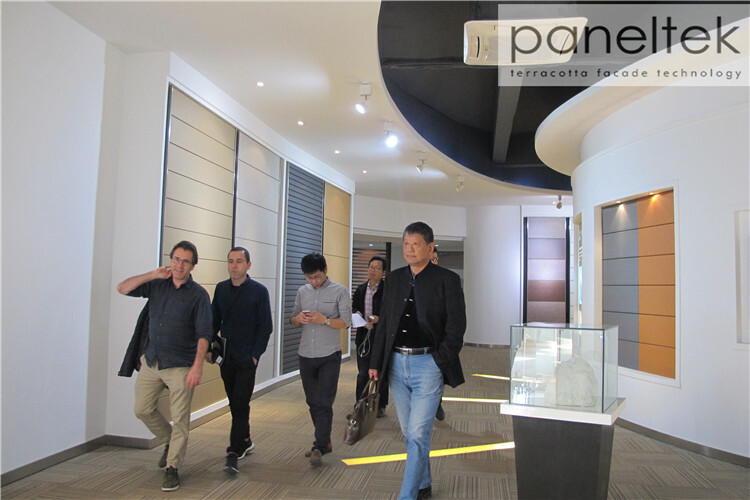 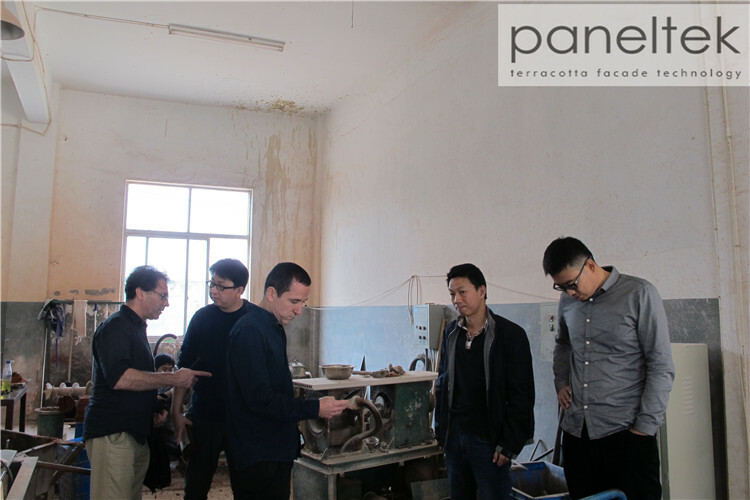 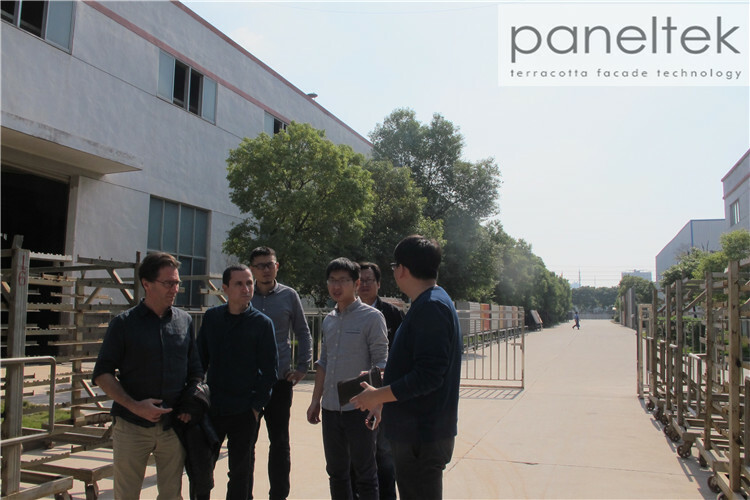 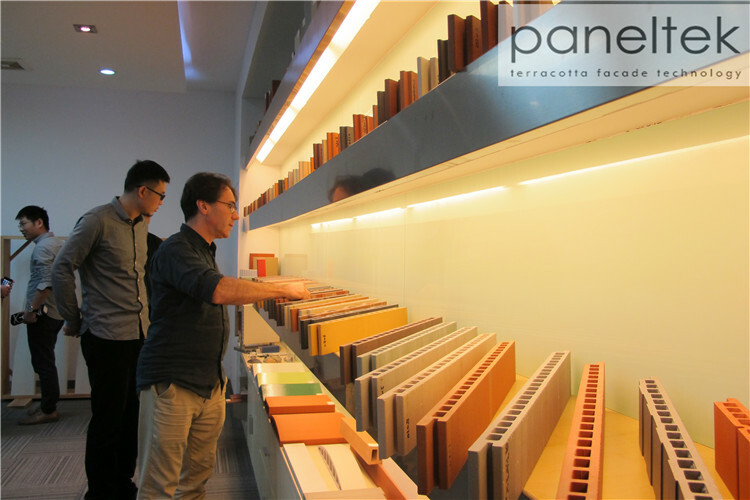 After visiting the show room, they came to the meeting room to see more terracotta panels samples. 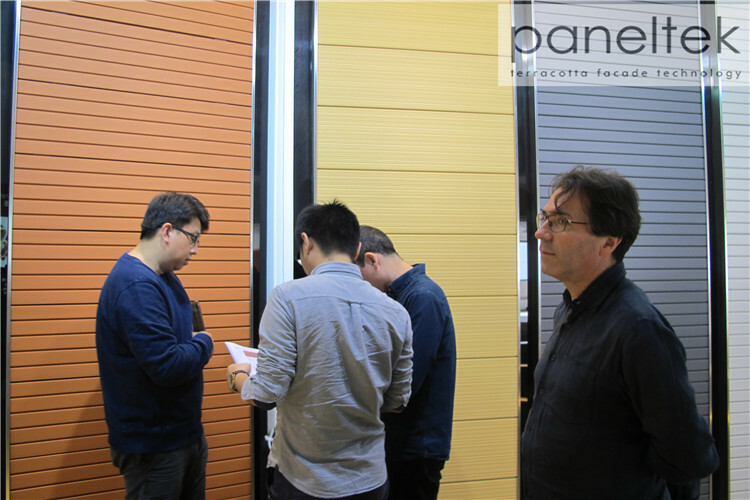 The designers picked up some color samples, and then had a discussion about the Paneltek Team. 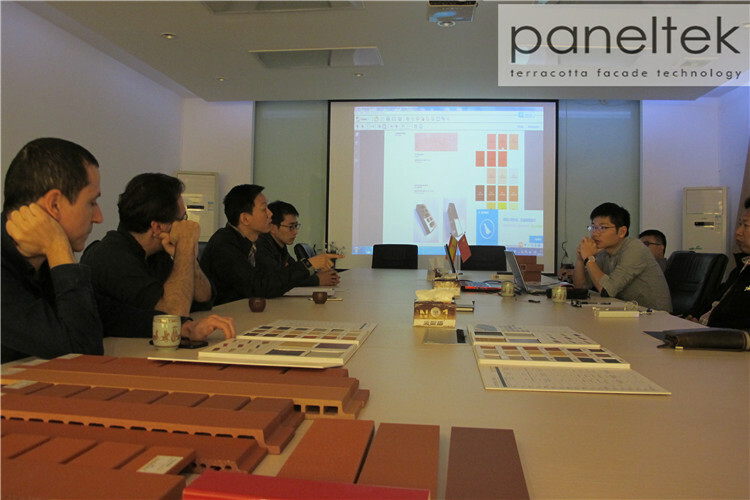 The designers are very interested in the coloring process, so they went to the workshop to discover more details.